In today's digital world, customer experience is the new battleground. 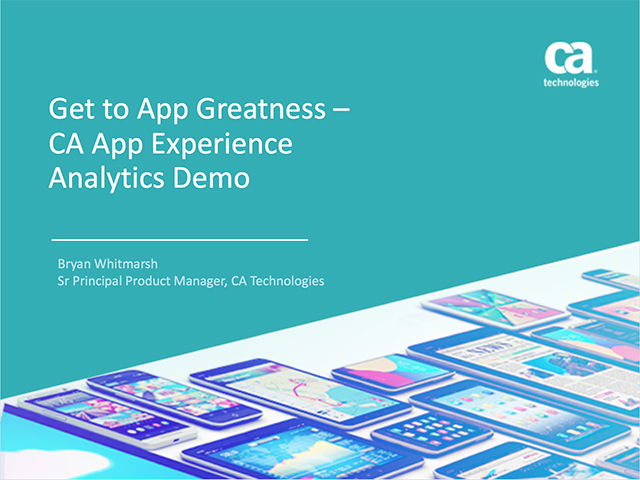 And to compete in the application market, not only do your apps have to look and feel great, they also have to deliver immediate, accurate response and flawless end-to-end performance. Listen in to learn how you can get to app greatness. We’re looking forward to seeing you there!